Learn how to make one of the most popular and in-demand pasalubong treats in the country---buko pie---and start a home-based business selling it. Buko pie is undoubtedly one of the most popular pasalubong treats especially in Southern Luzon (Batangas, Laguna, and Cavite). That is because it is a baked specialty that makes use of buko or young coconut meat, which is one of the main agricultural products in the region. According to food critics, the best buko pie in the country is still Los Baños-based The Original Buko Pie, which claims to be the very first and original maker of commercially available buko pie in the country (and probably in the world). In fact, some travelers don’t think that a trip to Laguna will be complete without taking home a box or two of the popular brand of buko pie, which unfortunately is almost always running out of supplies by 6 p.m. each day (it only has one store located in National Highway from Los Baños going to Calamba). 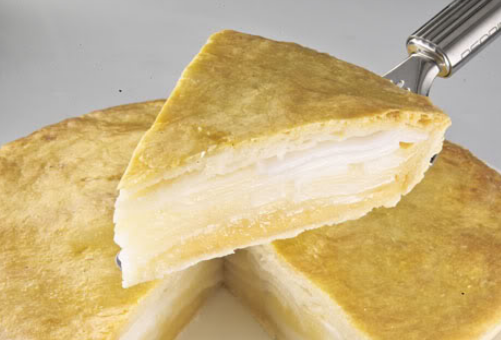 You might want to try a home-based buko pie business by first learning how it is actually made. Here is a simple recipe. 1. Prepare the filling first by putting buko, buko juice, evaporated milk, sugar, cornstarch, and vanilla in a saucepan. Cook the mixture over low heat and continue mixing until a creamy consistency is achieved. Set it aside and let it cool down. 2. Create the crust by putting the flour into a bowl. Add margarine and water. Mix thoroughly to form dough, which should assume the shape of a ball. Divide it into two, one bigger than the other. The bigger one would be the base of the pie while the smaller one would serve as the covering on top. 3. Put the bigger dough in between two floured wax paper sheets. Roll out or flatten then invert into a pie plate (could be 8 inches to 10 inches). Fit it well and make sure the crust would also cover the pie plate sides. Bake it in an oven at 350°F for 20 minutes. 4. When done with the crust, pour the filling over it and spread evenly. 5. 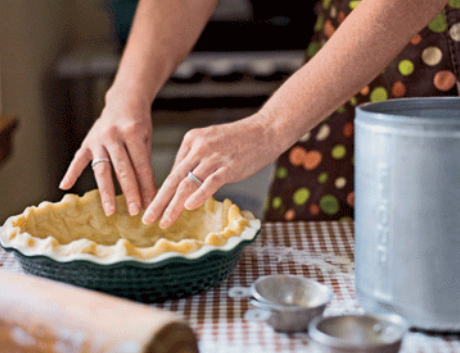 Roll out the smaller dough in between floured wax paper sheets and invert on top of the pie. 6. Trim the sides of the pie and press down the edges to make sure it is sealed (and the filling will be put in place). Brush the top of the pie with beaten egg to give it a glossy finish. 7. Bake the buko pie again at the same oven temperature for about 10 minutes or until the top crust turns golden brown.